For those of you wondering where I’ve been for the last year, ever since my 26/28 days road trip in the US, I’ve dropped off of my blog for quite some time. Well, I’m alive! While in San Francisco, my wonderful BF proposed on chilly evening on top of Twin Peaks. Since then, I’ve been thrown into the world of wedding planning and family obligations. On top of that, I started a new job and been thrown into the world of event management. Now that I’ve got a few minutes – I figure it’s a great chance for me to let you all know I’m still alive and hopefully will be blogging a bit more! A couple of upcoming topics I’m hoping to share with everyone is on tips of wedding planning, sourcing suppliers, and my travel experience on my upcoming trip to Europe. What’s even better is I finally invested in a small bluetooth keyboard for my tablet – making blogging hopefully a bit easier for me while on the road. 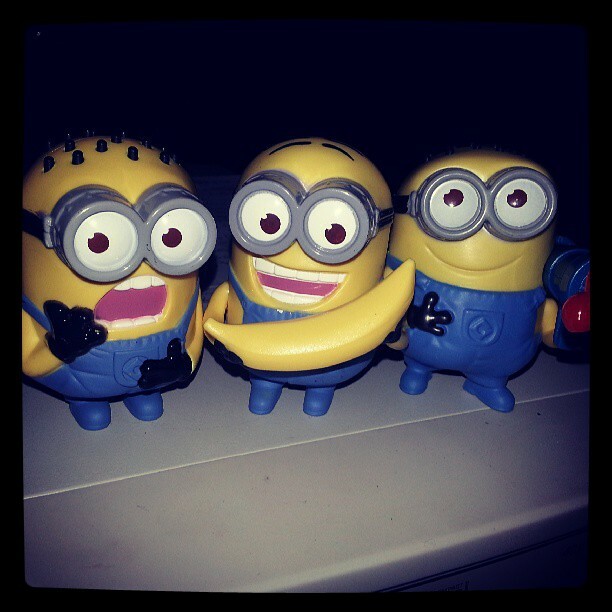 As for now – I’m collecting minions in hopes they can help inspire me to blog again! Stay tuned for exciting new posts!